Infrastructure as a Service (IaaS) helps companies realize the benefits and efficiency of cloud based technology solutions. Cloud computing uses servers and storage, rather than an organization’s internal infrastructure to process computational requests. Phil Godwin, in his article “Partly Cloudy: Is My Head In The Clouds?”, discusses the different services cloud computing offers. Aside from IaaS, other types of cloud computing include Platform as a Service, Software as a Service, and a combination of all three called Enterprise as a Service. Clear Technologies’ Infrastructure as a Service provides customers with the benefits of on-premise infrastructure with greater efficiency and controlled costs. IaaS providers virtualize resources within their systems according to customer specifications. Once the virtual environment is defined, clients can begin utilizing their system. 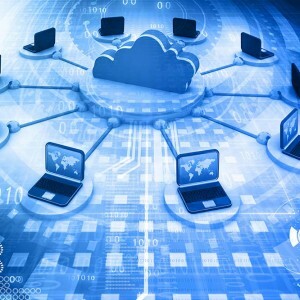 Clear Technologies has cloud infrastructure available to meet your needs. Our IaaS infrastructure provides adaptability and services like an on-premise infrastructure. With IaaS, companies free up IT resources which can be rededicated to more strategic business activities. An additional benefit of Infrastructure as a Service is its flexibility for companies whose needs fluctuate during the year. Rather than the high cost of maintaining under-utilized internal systems, Infrastructure as a Service can be deployed to expand and contract to meet any fluctuating business needs. Once we complete our analysis, we will provide an IaaS plan that will meet your infrastructure needs. Our service provides accurate reports on server utilization and forecasts additional infrastructure requirements. Clear Technologies has Infrastructure as a Service consultants that work with organizations of any size. Our consultants will create a custom Infrastructure as a Service plan that can manage your current and future needs. Certified IaaS consultants at Clear Technologies have many years of experience providing Infrastructure as a Service solutions. Contact one of our Technical Experts and let us help you come up with an Infrastructure as a Service plan to help your business.